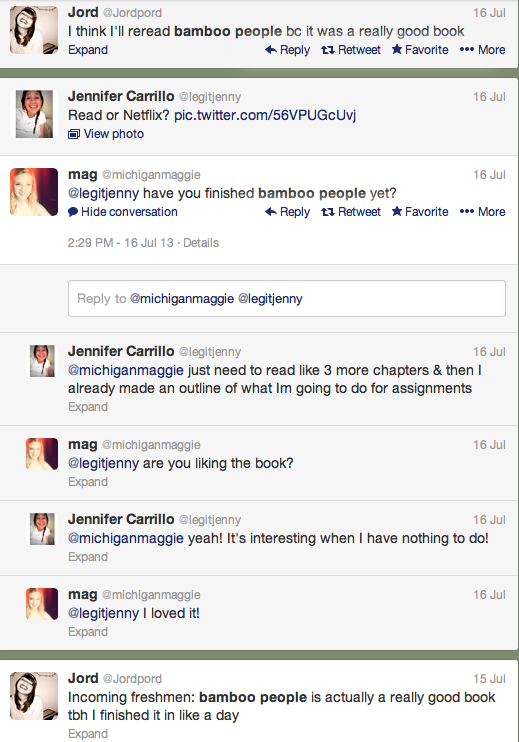 AuthorMitaliPerkins: Is it Pathetic When a Twitter Search Jumpstarts Your Writing? Is it Pathetic When a Twitter Search Jumpstarts Your Writing? After a huge cross-country move, it's tough to get back into writing mode. 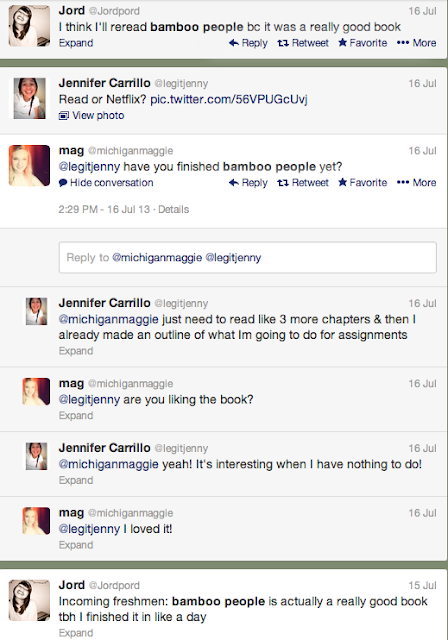 Yesterday, on a desperate hunt for inspiration, I searched for "Bamboo People" on twitter just to see if anybody had been reading it. (Come on, fellow writers, confess your google and social media searches -- it's a lonely vocation.) To my delight, I discovered an exchange that was even more lovely because these teens had no idea a certain discouraged writer might overhear it. Thanks to them, I'm suddenly ready to get back into my TIGER BOY revision.